Becoming a host family to international students is a great way to earn a bit of extra income, learn about new cultures and welcome someone into your home as if they were part of the family. 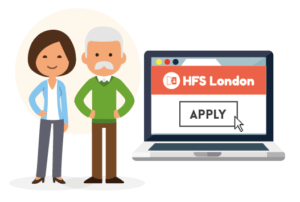 Here at HFS London, we work on behalf of London’s top language schools, universities and educational institutions. So, every year we place thousands of overseas students in homestay accommodation across the capital. We are always looking for new host families in north, south, east and west London across the majority of zones 1 to 4. We have a diverse range of hosts on our register, from all different backgrounds. Homestay hosts don’t need to be “families” in the traditional sense. Host families can be single parents, couples or empty nesters. The most important thing is that you have a spare room in your own home and a willingness to provide a “home from home” to guests. Our students usually come to take short courses at language schools in central London. So, the average stay is around 4 to 6 weeks. We place students from Brazil, China, Paraguay, Switzerland, France, Thailand and Japan in our homestays across London. Literally then, your homestay guest could be from anywhere in the world. The majority of students are aged between 18 and 25 years old. Whereas we do place 16 and 17 year olds as well, we do not place anyone younger than 16. We also get homestay enquiries from visiting interns, and occasionally overseas professionals or tourists as well. 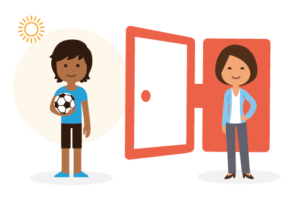 When a student chooses homestay, they are looking for more than a room in someone’s home. They are looking for a home where the host is more than just a landlord. Our hosts act as a point of support for their guests, helping them to get settled, find their feet and navigate life in London. As a result, many of our students keep in touch with their hosts long after they depart. This is one of the many rewarding aspects of becoming a host family. 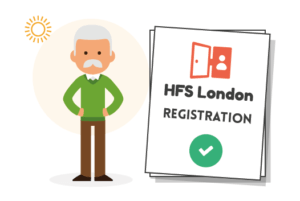 Hosting in London is a very worthwhile and rewarding experience, and registering with HFS London; a trusted, quality, British Council registered provider, couldn’t be easier. 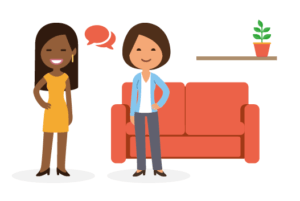 Our friendly team handles everything from dealing with the client through to the payment, so all you need to do is welcome your homestay guest with open arms when they arrive. Apply Here. If you have any questions then we have compiled a list of common questions here. If you can’t find what you’re looking for, one of our team would love to hear from you. 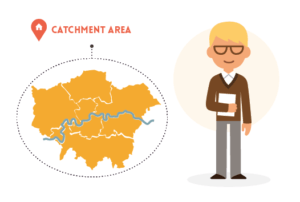 If you’re in one of our catchment areas, one of our lovely inspectors will contact you to organise a suitable time to visit. Sandy or Gaynor will then pop round to have a chat, to get to know you and have a look around. They will also take some photos so we can compile a profile to send out to students, schools and agents. Once registered you will be sent a few documents to sign to finalise the registration. 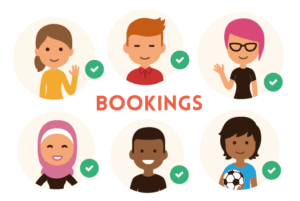 Our accommodation team will contact you to offer you bookings that match your profile. Remember the more flexible you are on things like meal plans, the more bookings we will be able to offer! Welcome your guests and enjoy the experience of hosting. To find out more about the inspections process and who our lovely inspectors are, please click here.